I used Quicksilver for years and loved it. Until it got abandoned and started crashing incessantly. When Google’s Quick Search Box came out (written by the same developer as Quicksilver) I was thrilled and switched immediately. Until it, too, got abandoned and started crashing incessantly. When the community came together to keep QS around as an open-source project, I switched back. And kept using despite the fact that it crashed incessantly because it was at least being maintained and was getting marginally better as time went on. And then I found Alfred. In 2.5 years of constant use, I can’t remember Alfred EVER crashing on me. It has all of the features that I loved and relied on in both QS and QSB, is much more polished, stable, and, after 2.5 years, development is still going strong. As of this writing, there are 810 ratings total, with 769 of those being 5 stars, and for good reason. The most telling thing I can really say about Alfred is that, after using the app for 2.5 years, and basically forgetting about it because it’s just always there, always doing its job, I actually WENT OUT OF MY WAY to find it in the App Store and write this review. There are VERY FEW apps that can claim that. You are going to totally love Alfred! It takes a short while to get used to how to best Alfred things. But once you're in (after 2 days), you'll never want to miss it ever again. Just discard spotlight and manual browser web searches and calculators and so on …... I use Alfred about 100 times a day. 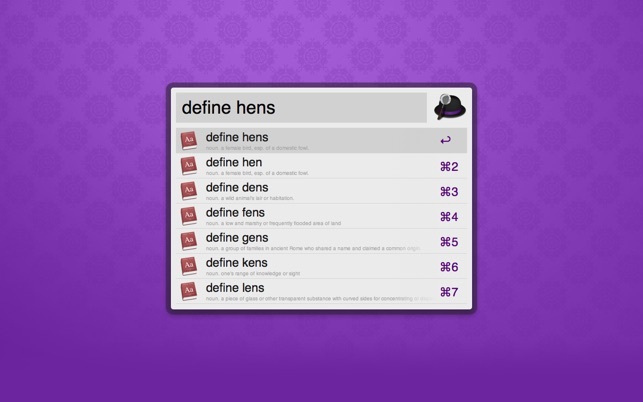 However, Alfred 3 is actually better and not available in the Mac AppStore yet. 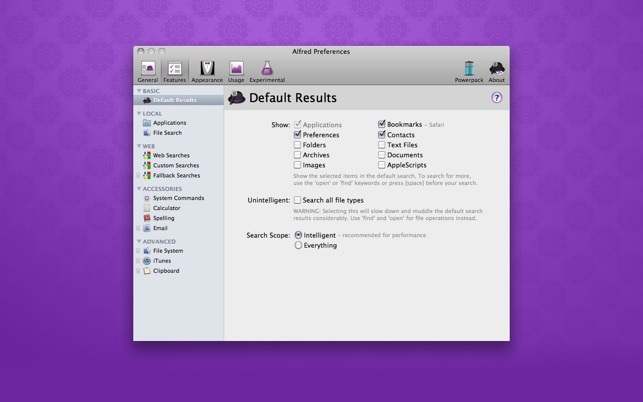 It even has user workflows and user keyboard shortcuts including for iTunes or system calls. Very useful! I especially love the flexibility of adding new time-saving workflows. 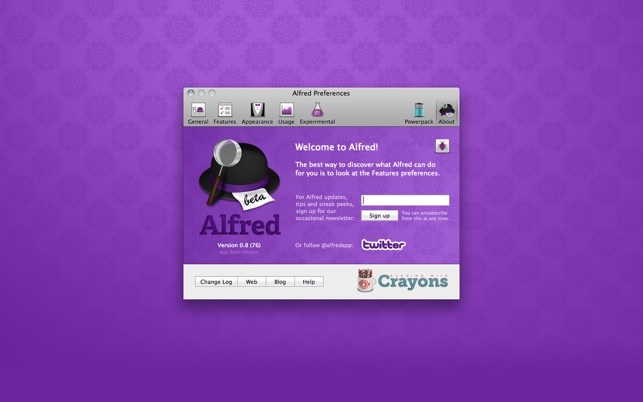 Hey, Apple folks, this App is amazing, please approve Alfred 3 on the Mac AppStore! Hey, Alfred folks, please don't stop nagging Apple to approve Alfred 3! Just because it took me a while to find it: Font size is configurable if you push all kinds of option buttons on the appearance theme. Would be useful to allow priority hints on file search. If you have multiple versions of files (e.g. backup copies or older versions or svn branches or ….) then you'd love to say "this folder is more important than that one". Maybe just allow priortiy ordering sources? Alfred will ultimately learn which ones you like though. Just would be easier with direct priorization. On some systems, erratic files are shown if you search for them (for example if you search LaTeX files), which is annoying. But beginning the search with a tick ' does the trick. Still silly. 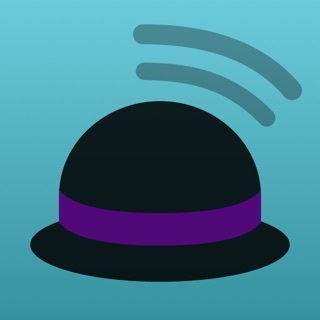 I’ve used Alfred for what seems like forever, and it’s arguably the app I’d choose for a desert island. :) It’s what I use to search for things, open things, define things, time things, calculate things, expand text, contact people, manage 1password, manage my clipboard, play music, command the system, and so much more. I’ve tried to find something comparable on my Windows PC that “just works” and there’s nothing (yes, there are a number of launchers that do their best, but nothing just like Alfred). I’ve also never felt like I was being ripped off or upcharged or anything like that, which is more and more common these days. And both the developers and the community making the “workflows” are active and resposnive. Alfred is one of those apps that is totally worth it if you use it for nothing but opening files and apps, but becomes more and more valuable with each feature you implement. Love it!